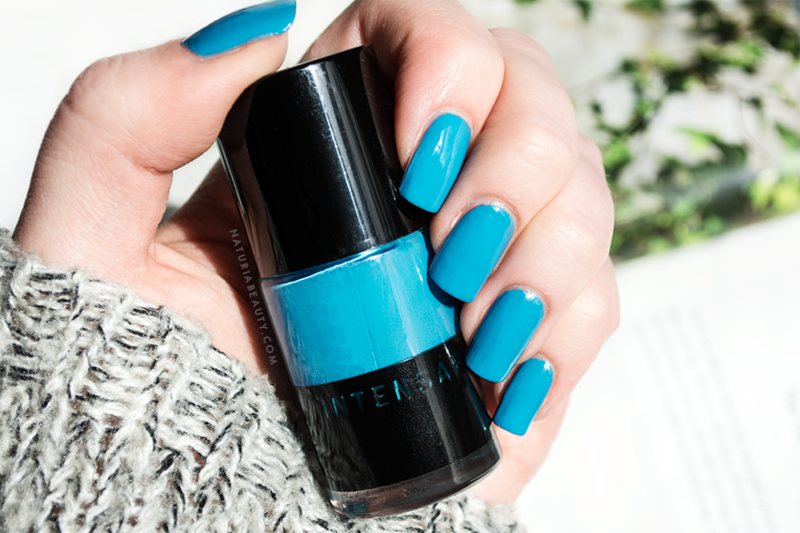 INTENSAE are a brand I've mentioned quite a few times here on the blog as they make some of the best quality 5-free nail lacquers I've come across. This shade called Emmeline is no exception and is definitely a unique one in my collection. When it comes to blues I usually lean towards the darker colours, so this turquoise blue is a bit different for me! I can't say it's one of my favourite shades to be honest, but it definitely catches attention and makes a change from the usual muted tones! As always, the formula is fantastic and couldn't get much better in terms of performance! The pigmentation is perfect after just one coat and it dries quickly too. This particular shade has a creme finish and it's easy to make a subtle difference to the look by using either a glossy or matte effect top coat. I always find these nail lacquers have great longevity, lasting at least 5 days or more on my nails without chipping. INTENSAE are up there as one of my top recommendations for 5-free nail colours and I think they're really worth splashing out on the £14.95 price tag! Everything from the sleek bottle design, long-lasting formula and intense colour ticks all the right boxes. Some of you might also be interested to know this brand is vegan-friendly too! You can buy INTENSAE shades online at intensae.com, Content Beauty and abeautifulworld. What do you think of Emmeline? Have you tried INTENSAE nail lacquer before?